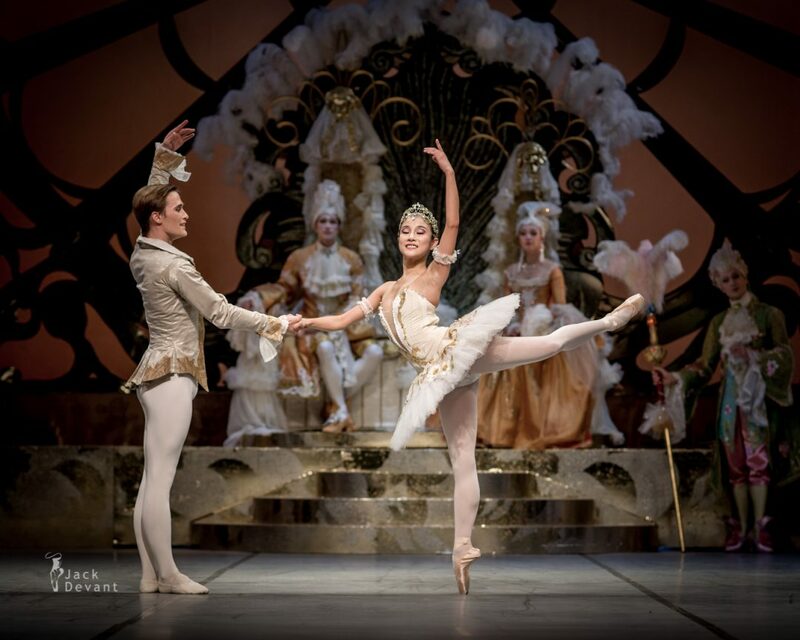 Eun-Ji Ha as Aurora and Ilya Bolotov (written also Ilja Bolotov) as Prince Desiree in The Sleeping Beauty pdd. Taken at Finnish National opera on 2.10.2013. The Sleeping Beauty (Russian: Спящая красавица) is a ballet in a prologue and three acts, first performed in 1890. The music was composed by Pyotr Ilyich Tchaikovsky (his opus 66). The score was completed in 1889, and is the second of his three ballets. The choreographer of the original production was Marius Petipa. The premiere performance took place at the Mariinsky Theatre in St. Petersburg in 1890. The work has become one of the classical repertoire’s most famous ballets. 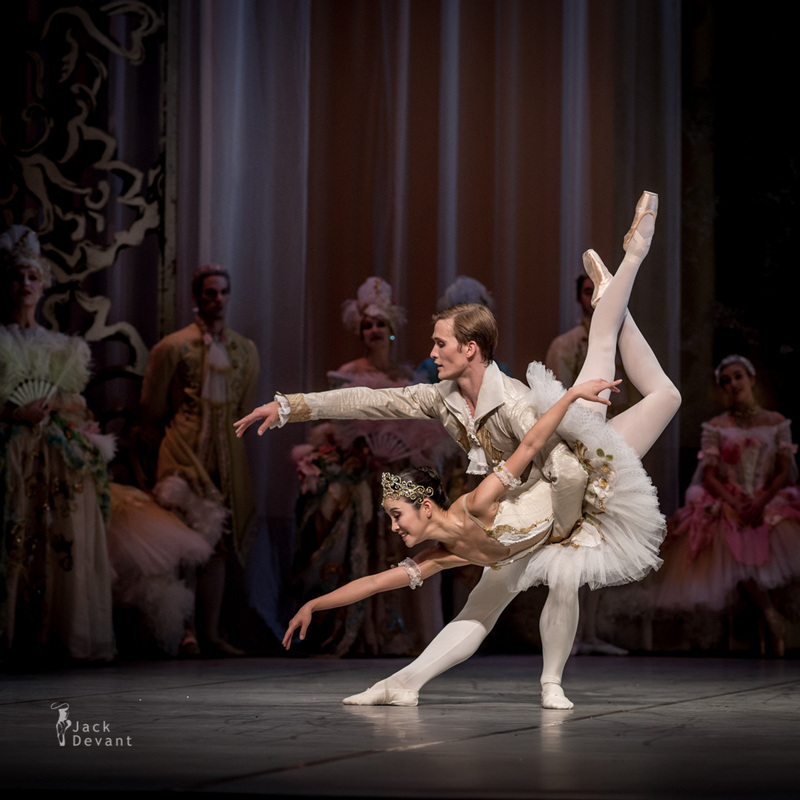 Ilja Bolotov is a Soloist at the Finnish National Ballet during the season 2013-14: Sleeping Beauty. He has education from the Perm State Choreographic School (1997-2005). earlieh he was egaged with Zurich Ballet 2007-2008; Leipzig Ballet 2008-2010 and from 2010 with Finnish National Ballet.